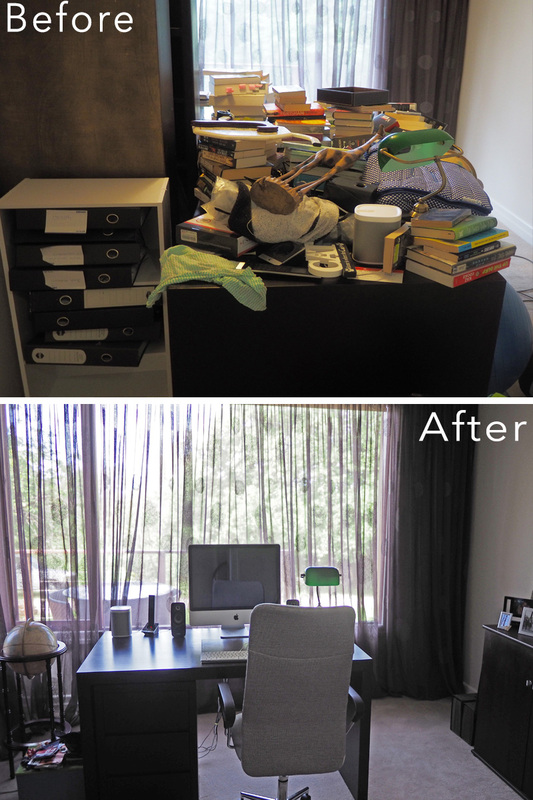 As a professional organiser, I have helped many clients reduce clutter, set up easy-to-maintain systems, and create more organisation in their homes. Check out the transformation below to get inspired! Need help with tackling the decluttering of the spaces in your home? Learn the step-by-step process with my guided online course Chaos to Calm! 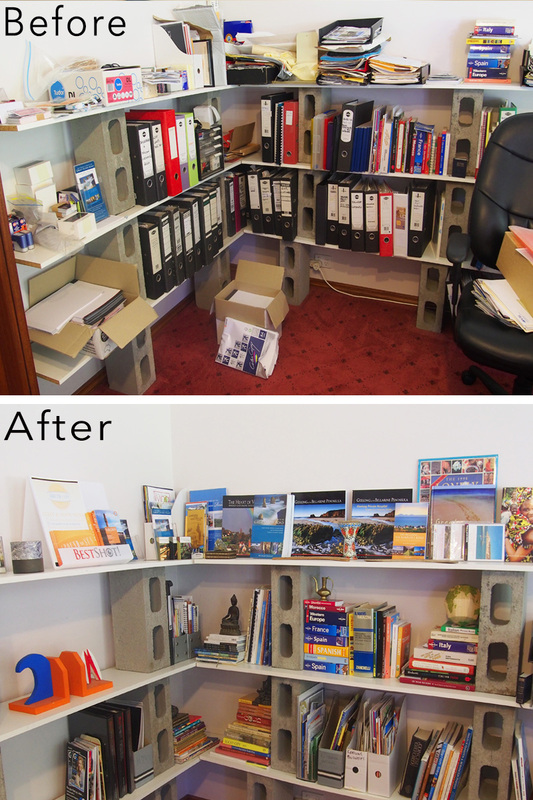 'Having downsized in our retirement, we were used to having much more space and much more clutter. 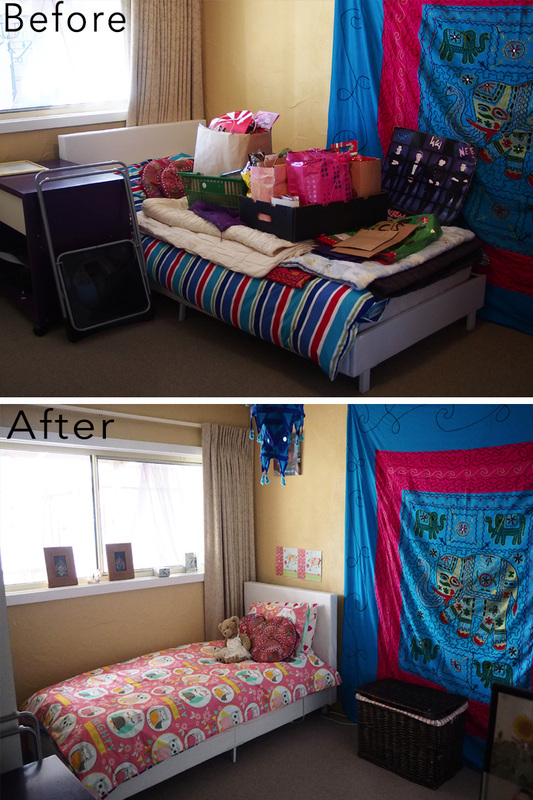 I wasn't prepared to live like that any more, so I asked Jo to come and set up my sewing room and my husbands office. It was a fabulous experience. My husband and I were involved during the whole process to ensure that we would ‘know’ the system and use it going forward. 'Living in a small home with minimal storage space meant I was constantly feeling overwhelmed when entering every room confronted with bulging clothes racks, brimming filing cabinets, boxes and BOXES of unpacked sentimental collections, a lifetime of photos and books, and a whole lot of junk! 'We achieved so much in only 2 short sessions of home office organisation. We were both having to make crucial decisions on the spot, which is precisely why having a professional organiser is so effective as you would not be able to achieve that level of transformation working alone. Our small business was in need of professional assistance in developing the necessary systems to maximise our time efficiency. Jo did an outstanding job in supporting us to reach this goal. Providing a personalised, professional and thorough service, we were supported to develop resource systems and an office layout at a pace that was comfortable yet efficient. The end result is a fantastic layout and office system that the whole team has bought into ensuring its sustainability. We would highly recommend Jo to any person that is looking to take their organisation to the next level. We are so appreciative of the 'The Organised You' supporting us to become the 'Organised Us'!